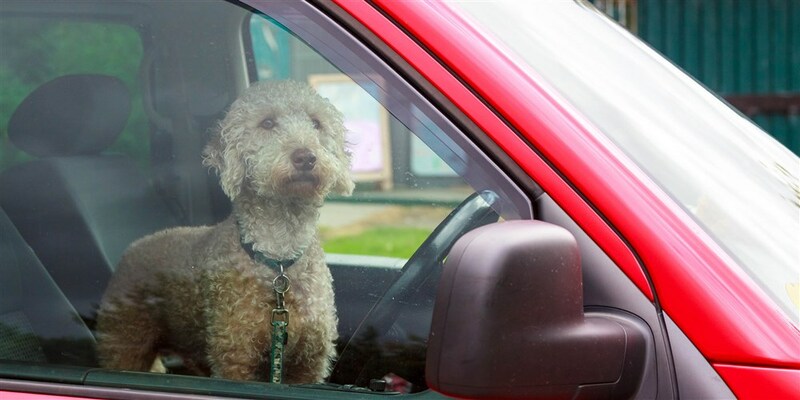 As summer nears and temperatures rise, don’t forget about your furry friends — especially when parking your car on warm, sunny days. A recent puppy rescue in northwest Florida serves as a reminder that leaving animals in vehicles is not only dangerous for pets, but in several states, it’s also illegal. With the driver nowhere to be found, the officers broke the driver’s side window to retrieve the animal and then offered her water and a place to cool off inside their patrol vehicle. They later located the pup’s owner and arrested him on a charge of animal cruelty. Even in early May, the outside temperature in the area had risen to 92 degrees, according to the post, and temperatures will continue to climb nationwide as summer arrives. Leaving dogs in hot cars can lead to “irreparable organ damage and even death,” according to the Humane Society, so it’s important to know how hot is too hot for your own pet, as well as your rights if you come across an animal in distress. During the warm season, the best practice is to leave pets at home to avoid potentially dangerous situations, according to Michael San Filippo, a spokesperson for the American Veterinary Medical Association.